Together we make moving and storage easy and stress free by being friendly, careful and reliable. We move a lot of people in and out of the Gold Coast both North and South. 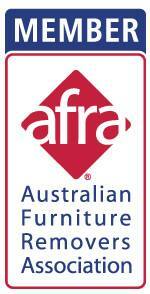 Many of our customers, particularly within Queensland have undertaken their furniture removals with us many times. 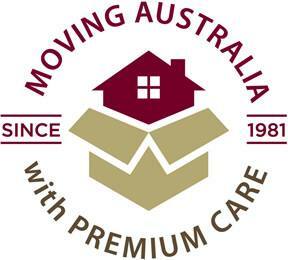 We are their first choice Removalists where-ever they move to. 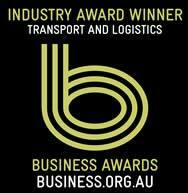 We would be pleased to assist with your relocation from the Gold Coast to Townsville. Having travelled the North Queensland route many times since 1981 our team is well equipped to take care of your whole move, including packing, removal from Gold Coast to Townsville, Special Item Relocation and Insurance. We present Noosa Van Lines to you as a professional removalist you can choose with confidence to undertake your Gold Coast to Townsville relocation. PROFESSIONALISM – all our team members are experienced and fully trained in removals, follow our own very strict standards and procedures as well as meeting the AFRA standards and code of conduct. You can be confident your furniture and belongings will be well cared for and delivered safely and securely to Townsville for you. RELIABILTY – every team member takes personal responsibility and pride in delivering what we promise. We aim for you to receive seamless service from the first point of contact through to your final delivery in Townsville. Maintaining open and timely communications regarding our plans and timings; ensuring we keep you informed of any changes that are necessary due to unforeseen circumstance such as accidents, road closures etc. HIGH LEVEL OF CARE – to us that means everything we do for you is done full of care. FRIENDLY APPROACH – being friendly is at the core of our service. Each one of our team members see themselves as a key part of our customer service team, taking a great deal of personal pride in the rapport they develop in person or over the phone, aiming to make your move to Townsville or any other destination as stress free and easy for you as possible. We can also share many reviews with you from people who have used us and been very impressed with our team and the manner in which their furniture removal has been managed from start to finish. 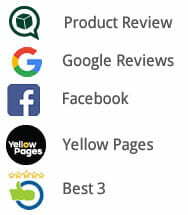 Their reviews are available on the is website as well on google+, product review and yellow pages to name a few. Gold Coast to Townsville is around 1436 km, taking approximately 15 ¾ hours in driving time alone via the National Highway A1. Starting in the Gold Coast, your Gold Coast to Townsville removalist will head north to Brisbane on the Bruce Highway which is part of the Australian National Highway A1. The highway passes the Glass House Mountains and the Sunshine Coast on through Gympie, Maryborough, Rockhampton and Mackay then onto Townsville. The last leg of the journey for your Gold Coast to Townsville removalist is approx. 274kms and 3 ½ hours travel to Townsville. Townsville has a diverse economy in which significant industries include retail trade, health and education services, government administration and defence, construction, mining, manufacturing, and property and business services. Outside the southeast corner, Townsville is the largest city in regional Queensland with a population of over 190,000. Settling into your new home is made easier by a smooth removal process, wherever you move to and Noosa Van Lines are here ready to make this happen for you on your move from Gold Coast to Townsville.